“You need a green screen for that.” was her reply. A green screen? I had never heard of it. Apparently every kid from here to Timbuktu knows what a green screen is, but I didn’t. Fast forward to today – and we not only have a green screen, we are making one of our unused rooms into a green screen room. 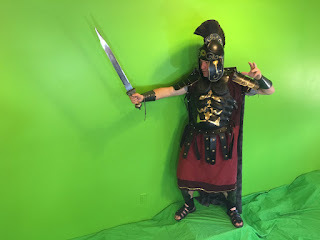 Even if you can’t afford a green screen (it was like $100) or don’t have a spare room to paint – you can still have a green screen. Just paint one of the walls in one of your Sunday School rooms. That’s what Karl Bastian did at his church. 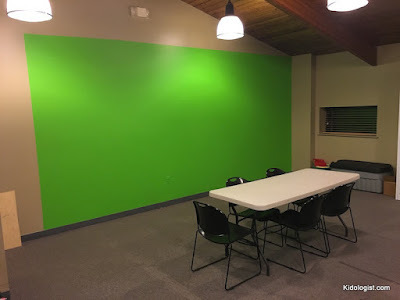 If you are going to paint a wall, it is worth your while to buy a gallon of the stuff the professionals use, Chroma Key Green paint. It will cost a little more, but should still come in under $50. We got ours at a Sherwin-William’s paint store. They quite often have coupons online. The "real" stuff will provide more consistent background lighting across the wall. So why have a green screen? On location announcements – use the green screen and then put a scene behind the announcer. Are you advertising a missions trip? Use a shot of a landmark from that country, or how about a wild animal ready to pounce on the announcer? Mrs. Bucket and the Palm Sunday Breakfast from Joan Eppehimer on Vimeo. If you really want to get fancy with this style of announcement, you can pre-record someone reading their ½ of a scripted interview. Put them in front of whatever scene you want. We used a palm tree lined street in Jerusalem to advertise our Palm Sunday Breakfast. Show the video on a Sunday morning. Have the spokesperson in your sanctuary “interview” the video by reading the other ½ of the script. Click here for a copy of the complete Mrs. Bucket scripted interview. Complete instructions for this type of video are here. Let your kids pre-record announcements in front of the screen and put fun images behind them. Make a music video. My dream is to do “I’ve Got a Book” from Phil Vishnar’s What’s In the Bible series. 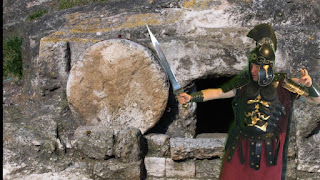 Great scene for Easter in front of the empty tomb made with a green screen. with their knight for lessons on the Armor of God. 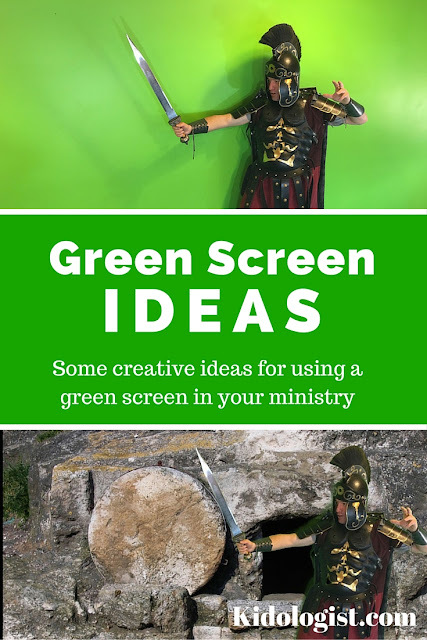 What have you done with a green screen in the ministry? Share your ideas below. Most of the pictures for today's post came from Karl Bastian's blog, Kidologist.com Karl is a full-time children's ministry pastor at The Rock church in Littleton, Colorado. He is also the founder of Kidology.org a website designed to equip and encourage children's workers in the ministry.